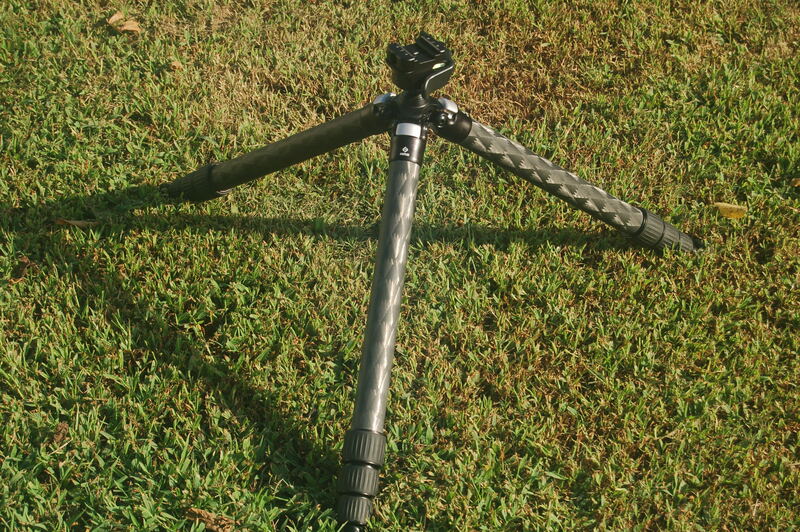 I am now offering custom cerakote for your RRS tripod. 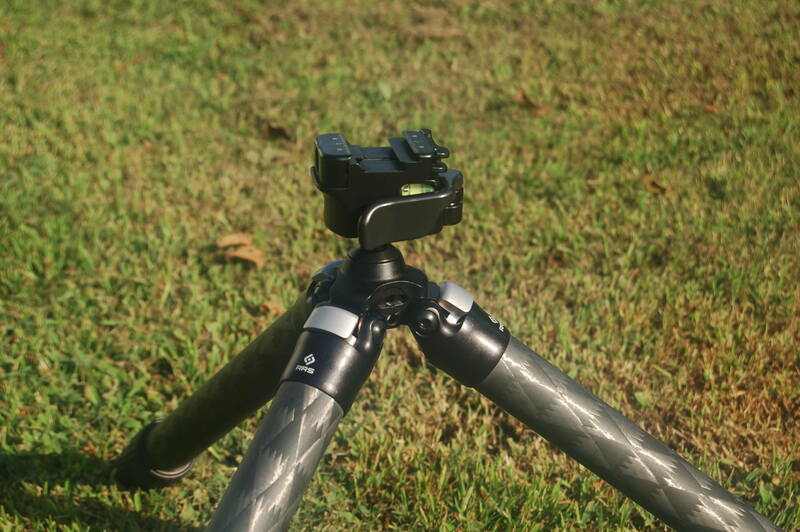 It can be coated in any solid color or camo. 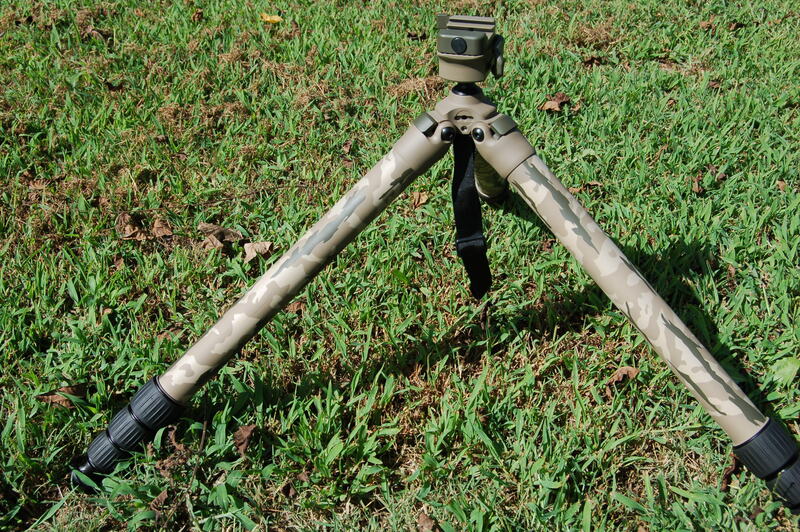 Keep in mind, I also have TS customs stencils, so if Travis camo'ed your rifle, I can camo your RRS tripod to match. 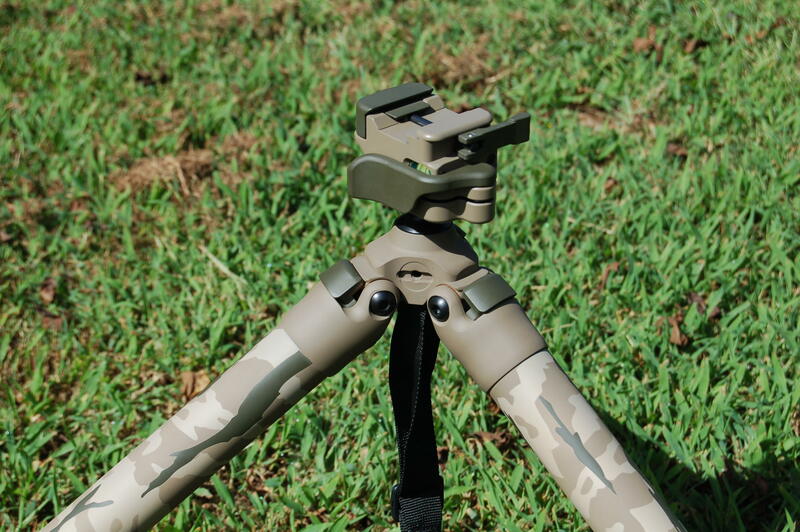 This tripod is OD highlights, and Sand/FDE secondary colors in TS Customs Mirage and two tone (OD/FDE) above the legs. 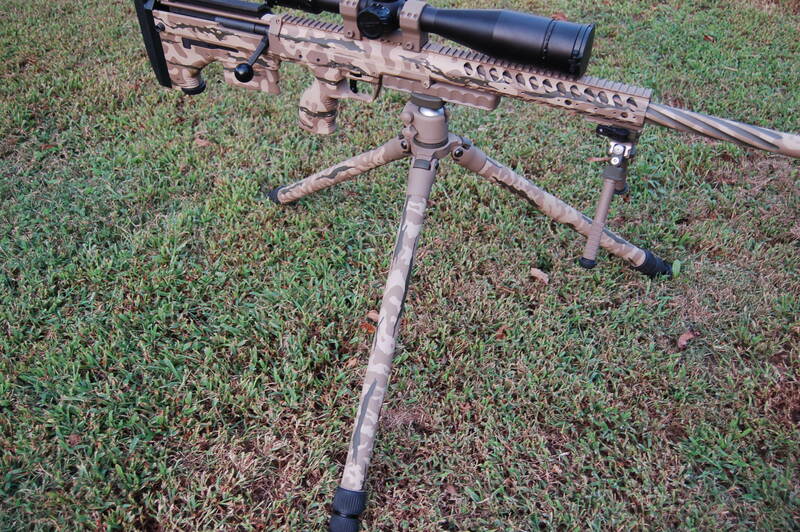 I also wanted to show off this new pattern for barrel camo. 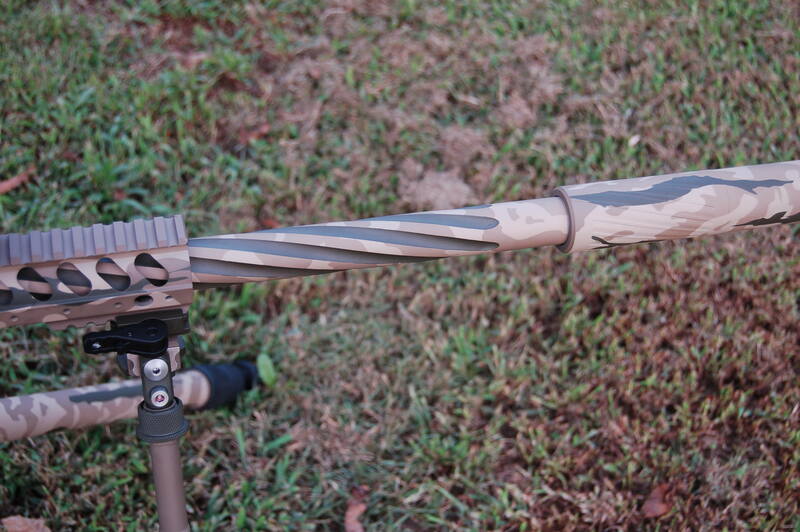 The barrel is TS Mirage FDE/Sand with OD green flutes. 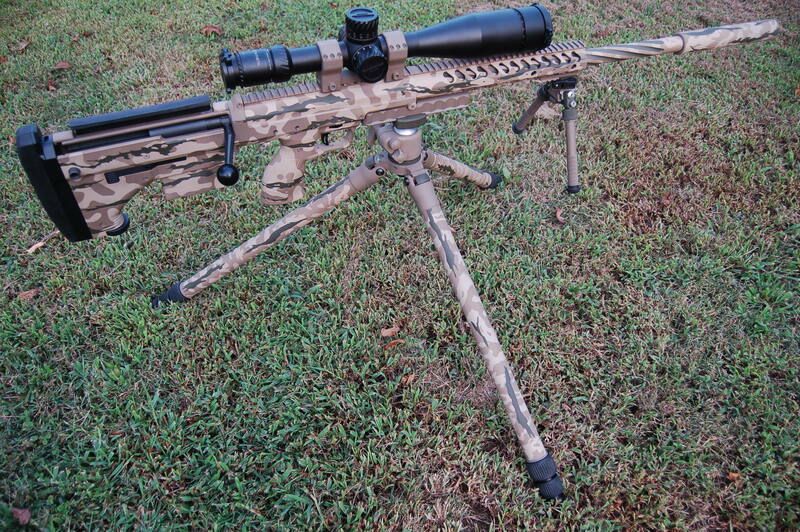 It looks really nice with a full camo rifle. That looks awesome Daniel! The detail is just incredible. 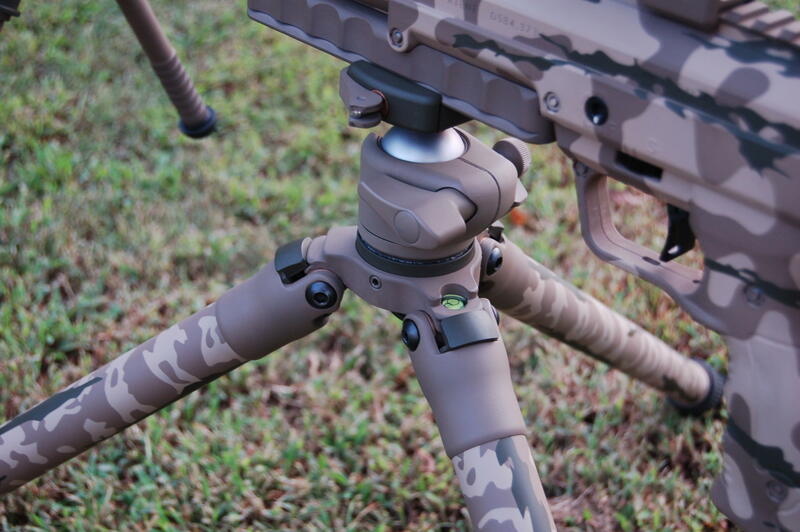 This is a customer's Anvil 30 / TVC-34 combo coated with FDE, OD Green, and Desert Sand. These colors really go well together!